You will hate these guys. When you go to Innsmouth and happen to run into them, they really bring the pain. 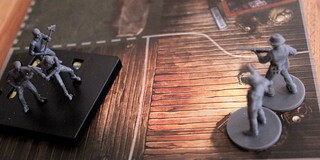 You can find our review of Mansions of Madness at Meople's Magazine.